I love responding to challenges and projects whose themes are not in my typical area of experience. While I can recreate feline and canine faces with reasonable success, human faces are much more difficult. When I cannot work directly from a photograph, the challenge increases. 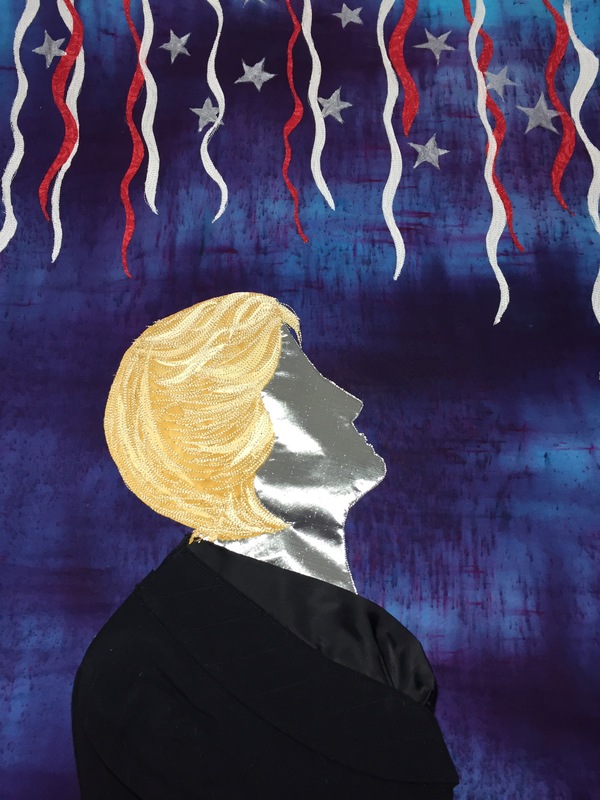 Throw in the need to redesign elements of the piece at the last minute and, well, you have my portrait of Hillary Clinton. This piece was created for submission to the fabulous project known as HERstory – depicting women who have changed the world in all sorts of ways, in the past and in the present. 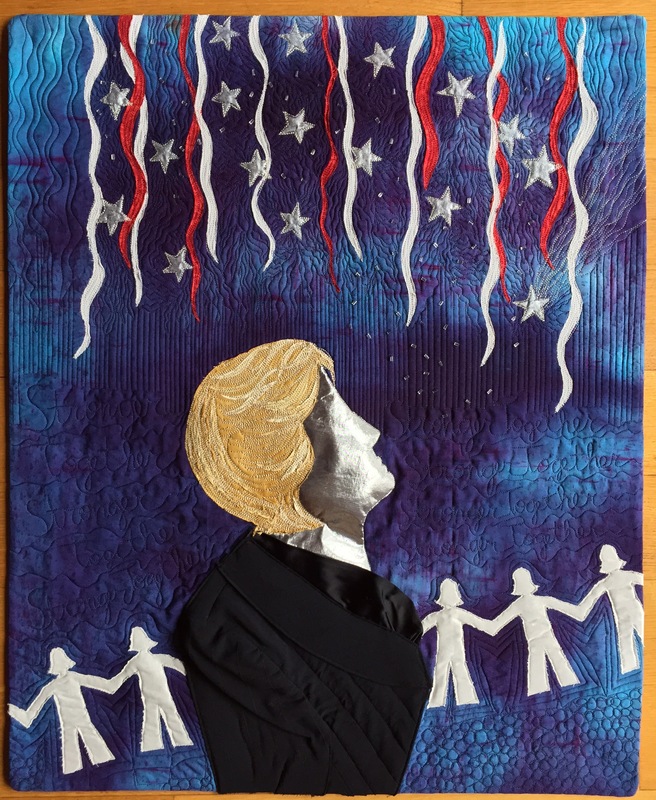 I chose Hillary as my subject, fully expecting the piece to be a celebration of our first woman president. Challenge: all sorts of copyright issues with using printed images…hence the need to simply sketch her profile from observation. Her hair was the easy part for me…given all the fur I’ve stitched ;). To represent what I expected would be a celebratory mood, I fused red and white streamers dangling overhead. Silver stars were painted in with fabric paint. How to represent a shattered glass ceiling? This was a tough one…I hunted down very jagged glass beads and hand-stitched them falling from above. Then, Election Day. Impossible to describe how difficult it was to finish this piece. 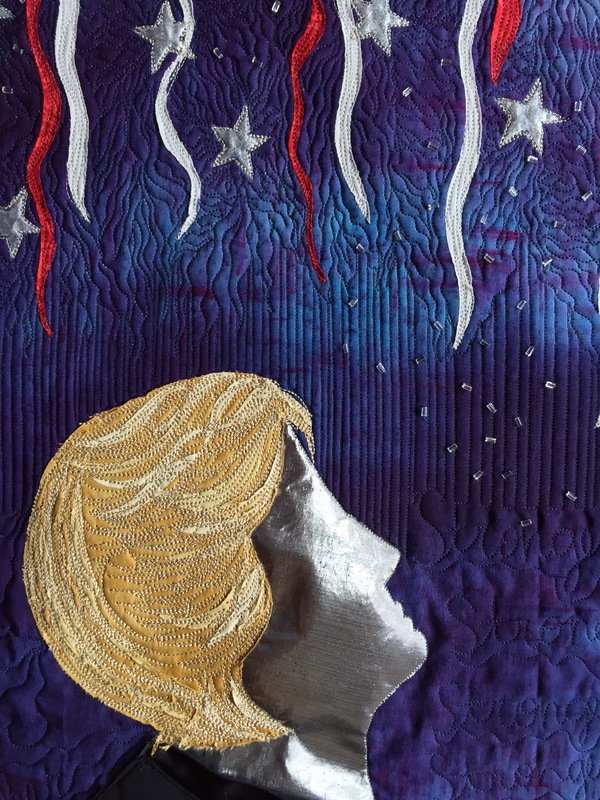 I added a falling star to represent the outcome, and a paper-doll style row of white fabric gals in pantsuits…the Pantsuit Nation, of course, fraying around the edges but still standing strong. The machine-quilting was relatively simple- I did add the campaign motto in the middle, and pebbling at the bottom (representing the rocky road ahead). 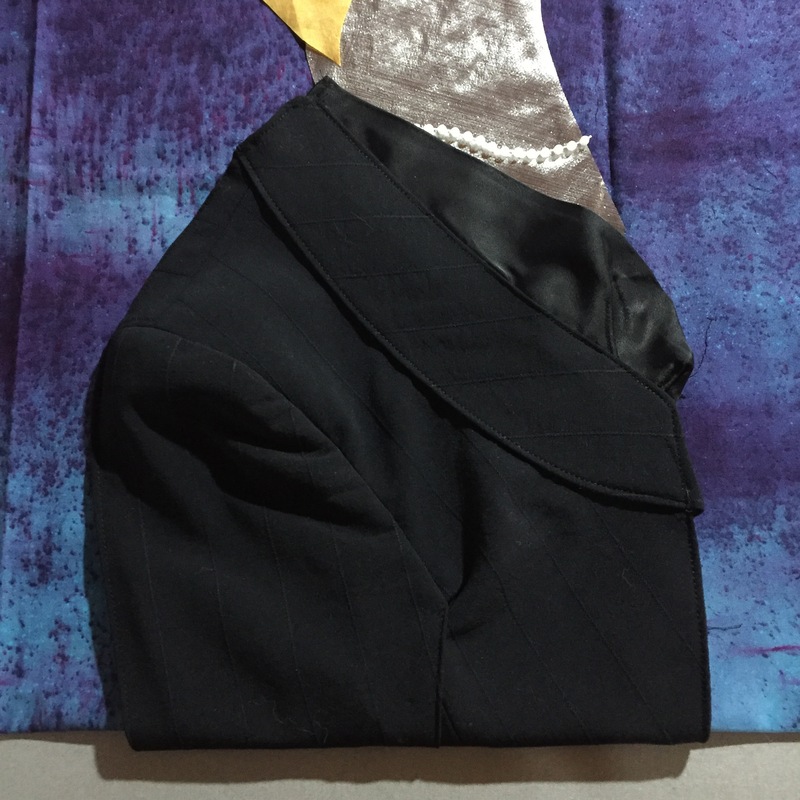 And the title…”Are You With Her?”…a question for the viewer to consider. What was your biggest step out of your comfort zone? This entry was posted in Uncategorized on January 15, 2017 by neonkittyquilts.